There are currently 2 Different Hubs in the game, the Private Tavern and the Heroes Market Place also known as the Town. This is where you'll spend any time not in battle to sell, buy, manage, tinker and test any gear you've found in combat. The Tavern and Town also posses multiple NPCs with various shops. These NPCs will either sell you something, or provide a service. 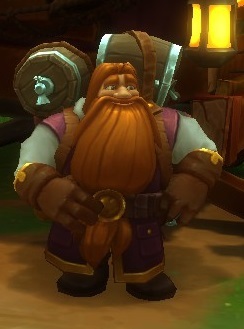 The Blacksmith is a vendor in the tavern that sells Weapons and Armor for all Heroes for gold. The 11 items for sale are generated/refreshed once every hour. The item stats are based on your hero's equipped gear level. This mean if you are wearing all the best gear you can get from Chaos 1, the Blacksmith will generate random Armor and Weapons for sale with stats equivalent to items dropping in Chaos 2. The Blacksmith's gear caps out at Chaos 3 quality however. 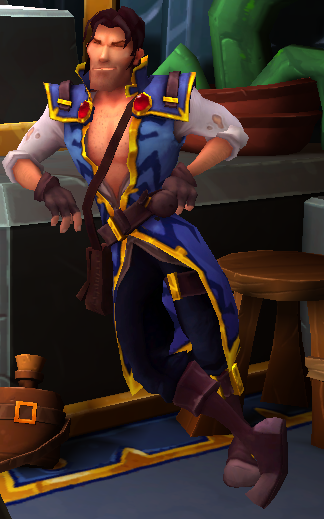 He can be found left of the Training Dummies in Tavern, or behind the Emporium in Town. The Relic Hunter is a vendor in the tavern that sells, you guessed it, Relics for gold. He sells Relics that are available to all Heroes. His Relics for sale are generated/refreshed once every hour. The generated item stats are based on your hero's equipped average relic level. This mean if you are wearing all the best gear you can get from Chaos 1, he will generate random Relics for sale with stats equivalent to items dropping in Chaos 2. The Relics generated cap out at Chaos 3 quality. He can be found to the right of The Blacksmith in Tavern and Town. 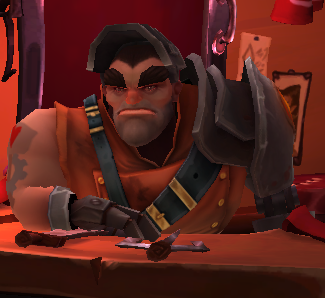 He has his own shop in Tavern, but hangs out in the Blacksmith's one in Town. 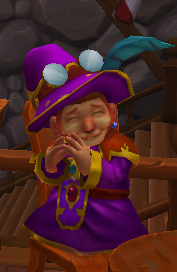 Gran Ma'ster is a vendor in the tavern that sells Shards that are available to all Heroes for Gems. She sold Skill Spheres prior to the Trials update, where Skill Spheres were removed. 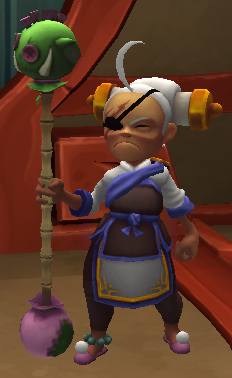 She can be found standing next to the War Recruiter behind the Training Dummies in Tavern, or on the right side of the Pirate Ship in Town. The Mananode is a guardian of the Ancient Ruins, you will first encounter him in the Adventure for The Kobold Bling King. Mananode's main feature in Town is to help you Ancient Power. Mananode also gives you your green mana to build defenses at the start of Build Phase. Mananode can be found only in the Town, he's between the Pirate ship and the Mysterious Portal. Interacting with the Petrinarian will open the Petrinarian window, allowing you to view, equip, feed, power up, and evolve your Pets. The Stable Boy will open the Hatchery window when interacted with, which can be used to hatch any Creature Eggs you may have. Both windows can always be accessed, whomever of the two you may decide to interact with. You can find this couple after beating the Liferoot Forest map. You can find them above the Training Dummies in Tavern or when going left in Town. Professor Sebastian Proteus, also known as "The Tinkerer" is the genius who adapted gear to have M.O.D.S. on them. He's also the creator of Protobot and the Sky City Bank. Professor Proteus allows you to transfer mods from one item (e.g relic, helmet) to another. This process costs Defender Medals or Gems as well as the respective upgrade material (e.g Plain Leather, Plain Iron Hammer). For a comprehensive list of materials, see Tinker Materials. 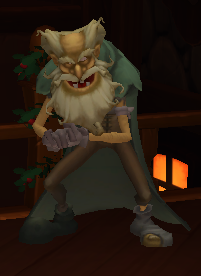 Professor Proteus can be found left of the Blacksmith in Tavern, or when going right in Town. The Sky City Bank is a place to store items you don't want in your inventory, it consist of multiple Vaults and a Material Vault. These have to be bought for Gems. Protobot is the guardian of the Sky City Bank, both of which are inventions of Professor Proteus. You can find the Sky City Bank next to the Training Dummies in Tavern or behind the Emporium, left of the Blacksmith in Town. When your inventory has completely filled up, the Scavenger will collect any further items dropped on a map. He also picks up items dropped from enemies killed by falling off the map. These items will remain in the Scavenger's inventory for a limited amount of time until he gets rid of them. You can find the Scavenger to your right when spawning in the Tavern, or right of the Dragon Statue in the middle of Town. Talking to the Shady Merchant will bring up the Quest Menu (accessed also by pressing "J"). 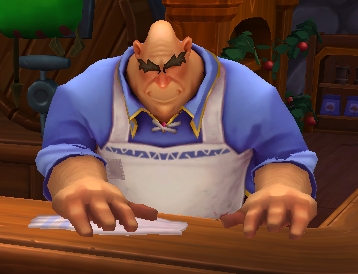 He can be found behind the Tavernkeep's Bar in both Town and Tavern. Here you can spend your Defender Medals on unique, valuable items. The Treasure Pirate sells pet affection boosters and special Creature Eggs like Betsy Dragon Eggs. She previously sold Skill Spheres and Lockbox keys as well. With the Isle of Dread update the Treasure Pirate moved to The Jacked Sparrow, now the Colonel is watching over her shop. Her shop can be found left of Professor Proteus in Tavern, or on the left of the Pirate ship in Town. 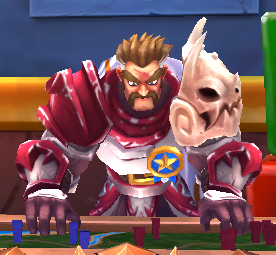 The War Recruiter is a vendor in the tavern that sells Shard Packs for Shard Dust. He can be found standing next to Gran Ma'ster. By completing specific Incursion maps, you can purchase unique weapons for 500 Defender Medals. The stats of the weapon are based upon your strongest hero. The item will tell you which Incursion you need to complete to unlock it. The Wayfarer can be found only in Town, between the Pirate Ship and the Mysterious Portal. You can purchase and equip Costumes here. The Seamstress can be found in the Emporium. The Knight Commander will inform you of newly unlocked Campaign maps and any Campaign-related quests you may have, although he currently does not do anything. 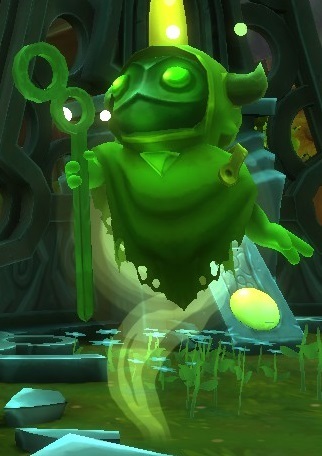 The Tavernkeeper may be interacted with to report any bugs you find. The Tavernkeep can be found behind the bar of the Tavern and Outside Tavern in Town. The Enchantress used to upgrade gear by fusing other gear and gold. The Upgrading mechanics has since been changed so that fusion of gear is no longer required, and is done within the inventory. 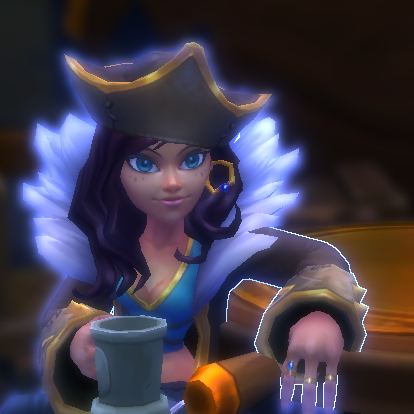 You can find her in the tavern sitting at a table near the Pirate Cove, or in the open tavern in Town. Sadly she doesn't have interactions anymore.